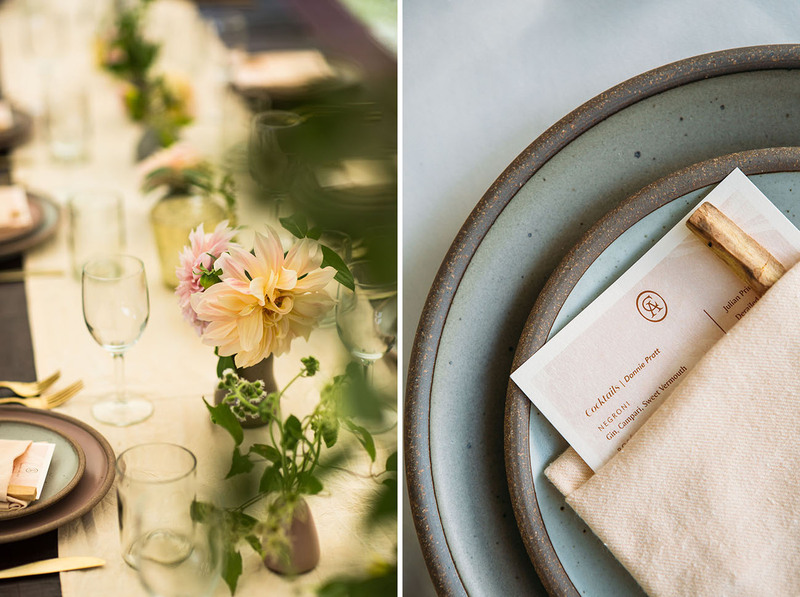 Today’s wedding features the creative duo behind our latest obsession, East Fork Pottery! 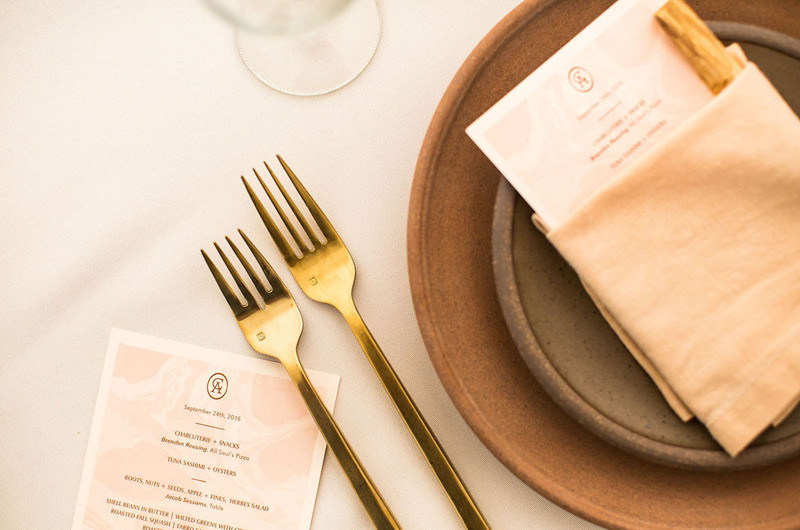 You may have seen our post on Instagram stories about these beautiful pieces, so we’re pretty excited to share the love story of Connie + Alex, the makers behind the wheel. 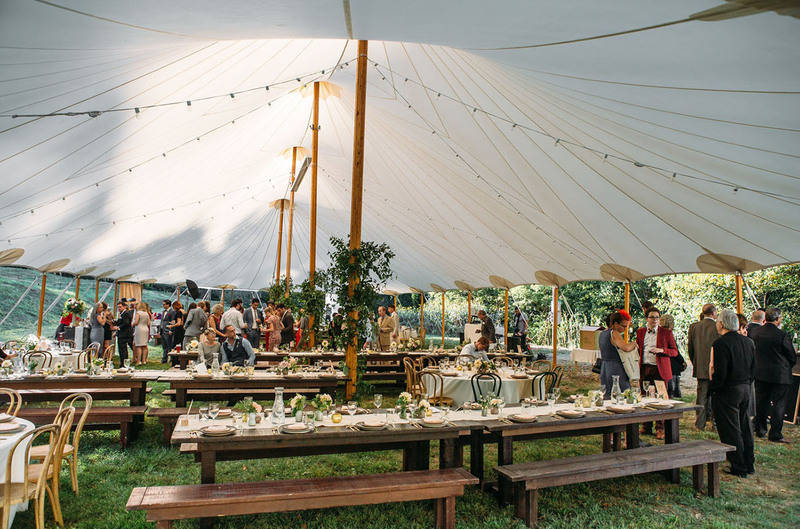 Connie gave us all the details of her and Alex’s dreamy North Carolina wedding, including the story of their extravagant wedding gifts: pottery, of course! 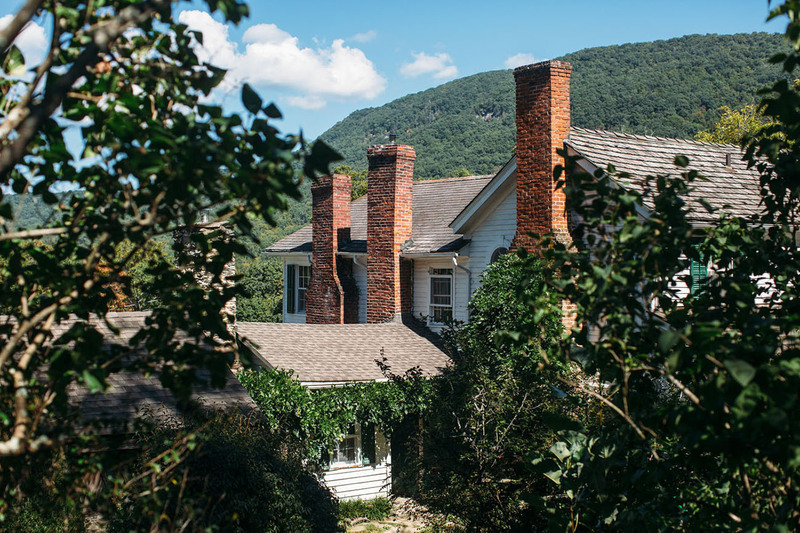 My husband, Alex, and I founded East Fork Pottery in 2009, on an old tobacco farm in the rural, rolling mountains of Madison County, North Carolina. 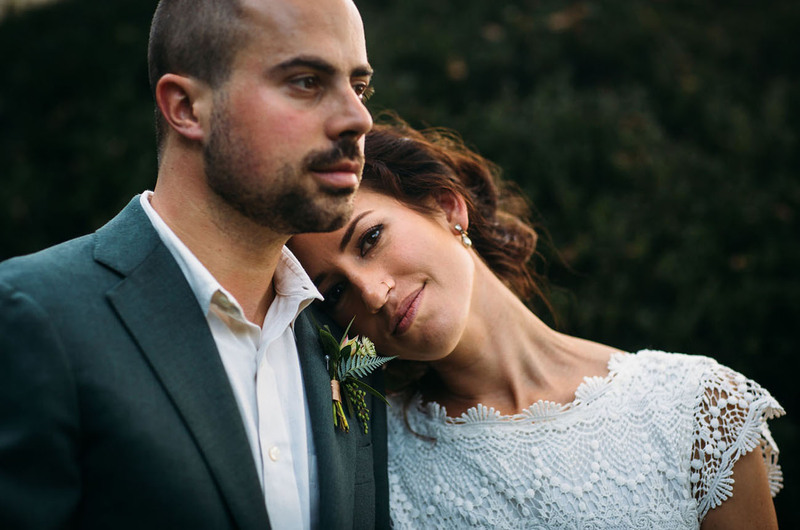 It was an unlikely place for either of us to end up – I’m from LA and he’s from Massachusetts – but we’ve built our business there and have had the good fortune of becoming part of a talented, passion-driven group of makers, designers, chefs, and farmers who all contributed their incredible skills to making our wedding a true reflection of ourselves and the beautiful place we live. 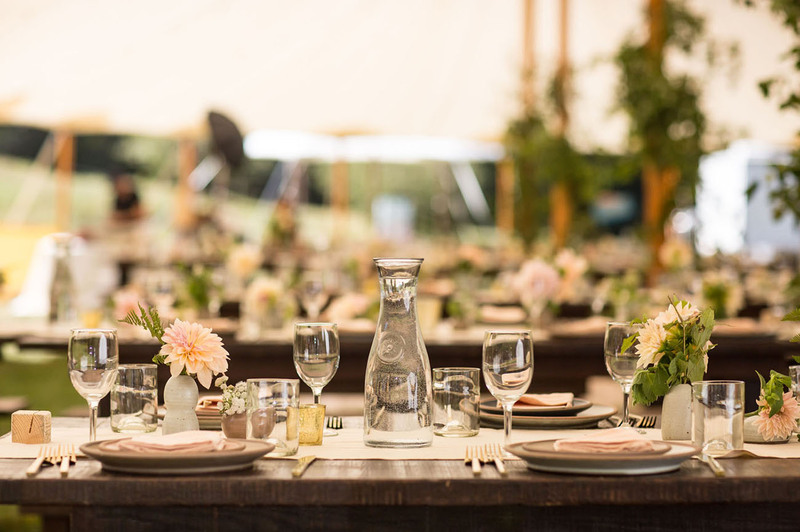 Starting with this crazy bit: my husband and the three other members of our workshop made, by hand, all 200 dinner plates, 200 side plates, and 300 bud vases as gifts for our wedding guests. 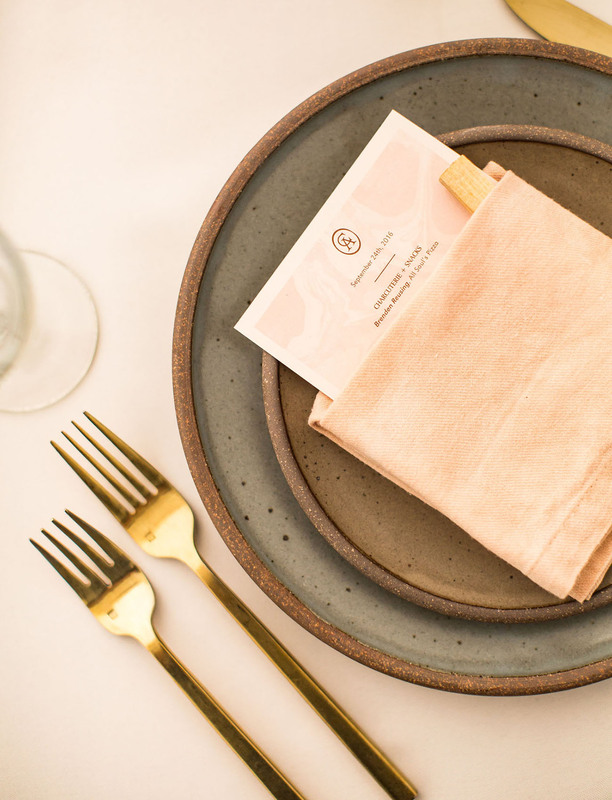 I’m not a potter, but, feeling left out, I gathered some of my craftier girlfriends and dyed all of the napkins and table runners in the red, iron-rich clay that we use to make our pottery—it turned the fabric a dreamy pale pink. I was so nervous that I’d be anxious the entire day and not be able to relax and enjoy myself — I can be a real micromanager! But at 11 AM I got into a hot bubble bath, poured myself a big glass of sparkling rosé and made a decision to sit back, not sweat the little stuff (like how someone forgot the bring the cocktail napkins!) and just take it all in. I can honestly say I’ve never smiled harder, longer, and been more full of joy than on our wedding day. Ready to see how it all came together? Tim Robison captured the details of the day—let’s have a look! 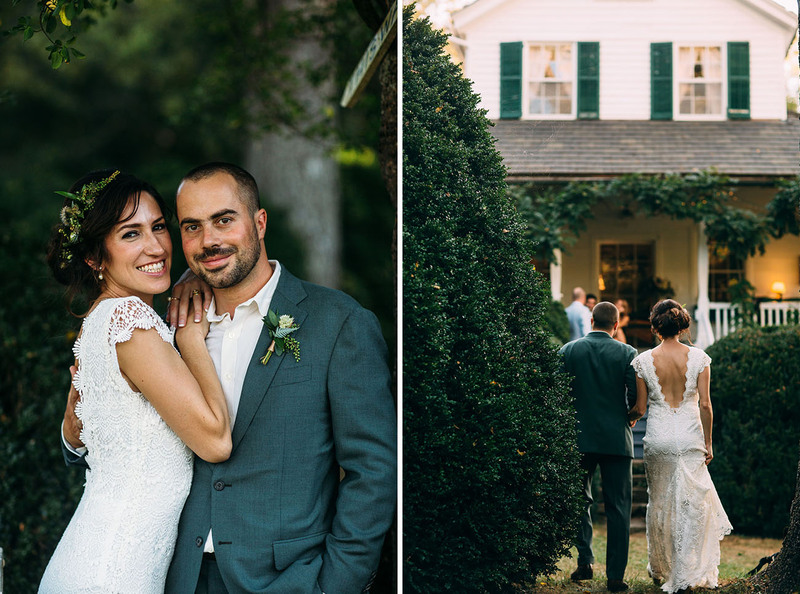 The ceremony + reception took place at the old Victorian home and grounds of Old Sherrill’s Inn in North Carolina. These rings—so cool, right?! 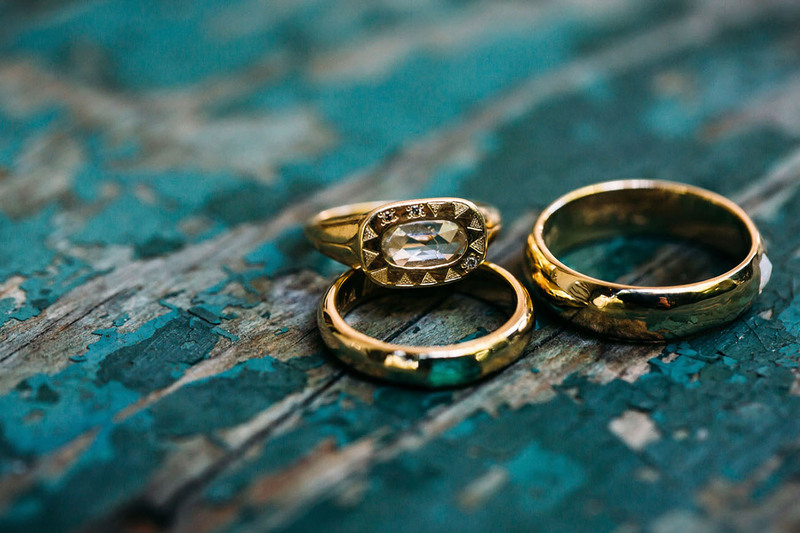 Both the bride + groom’s rings are from Scosha. 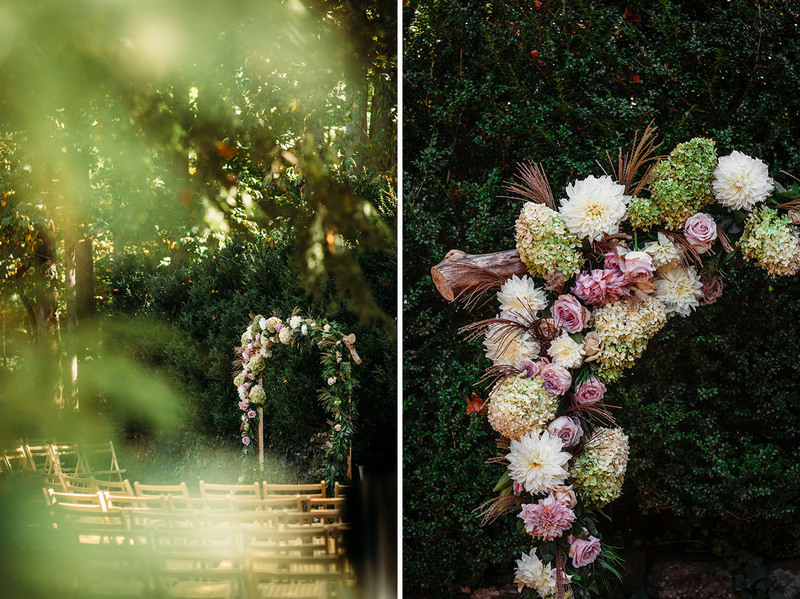 And Flora + Lady Luck Flower Farm totally brought the blooms. 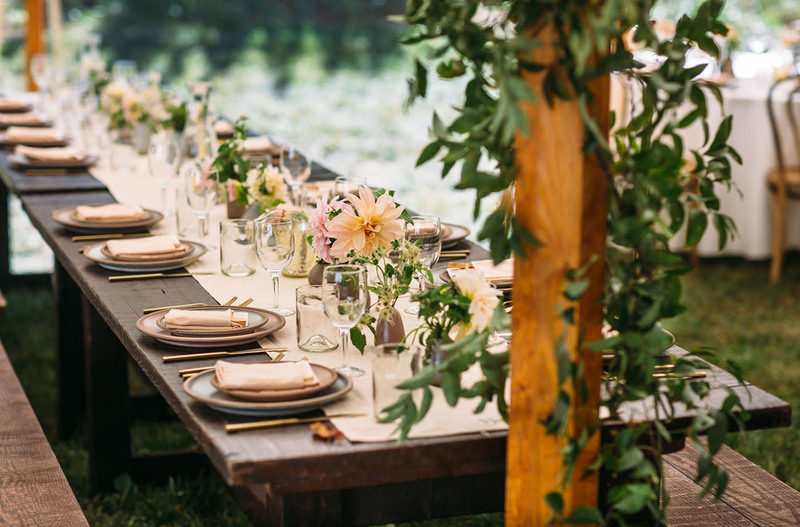 Loving this lush backdrop! 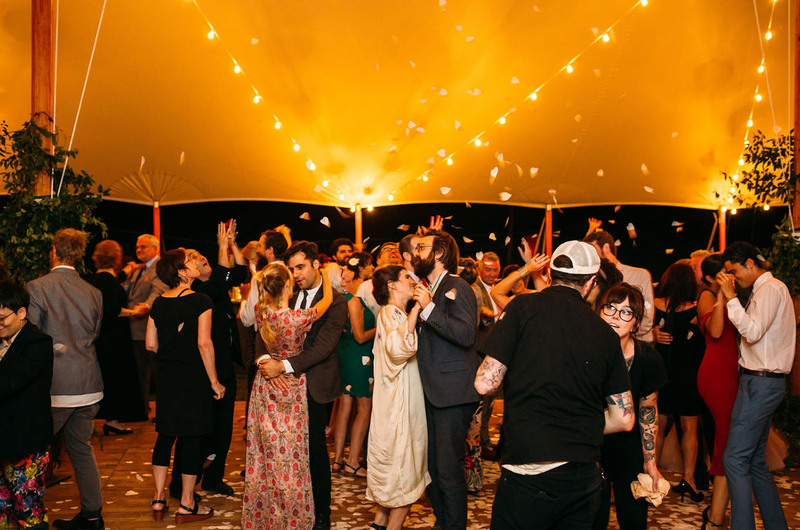 The ceremony was a natural, easy, organic feeling affair. A string quartet played our favorite piece of musics from the Rachel’s “Music for Egon Schiele” as guests arrived, sipped a cocktail, and gathered for the ceremony. 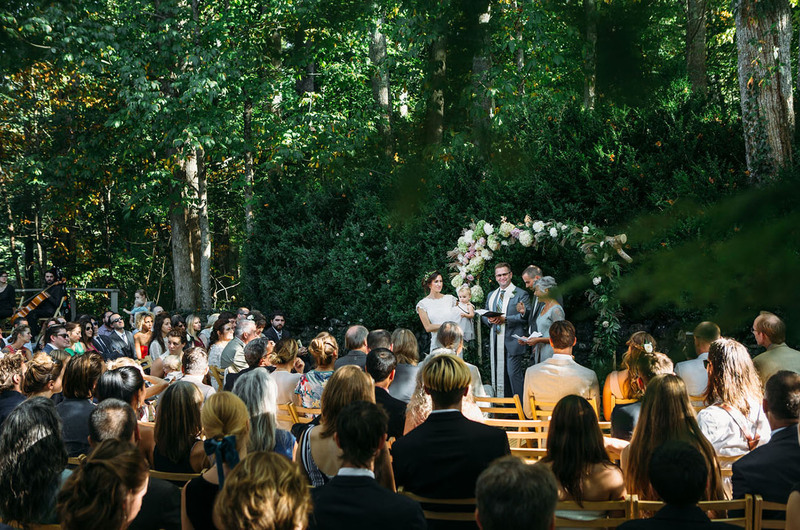 I walked down the aisle to all the bells and glory of Fleetwood Mac’s truly epic, “Everywhere.” During the ceremony our family read poems—my dad even recited a blessing in Gaelic which brought me to tears. 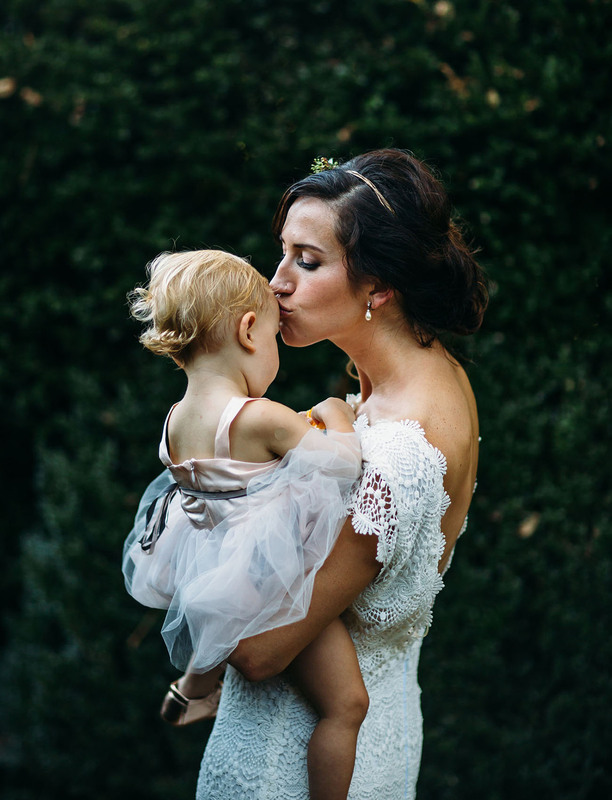 Our baby girl, Vita, then just a little over a year, got to stand with us in front of everyone as we said our vows. My mom, who’s Mexican, lassoed us after we exchanged rings with a macrame rope that I had hastily made in the bathtub the night before. 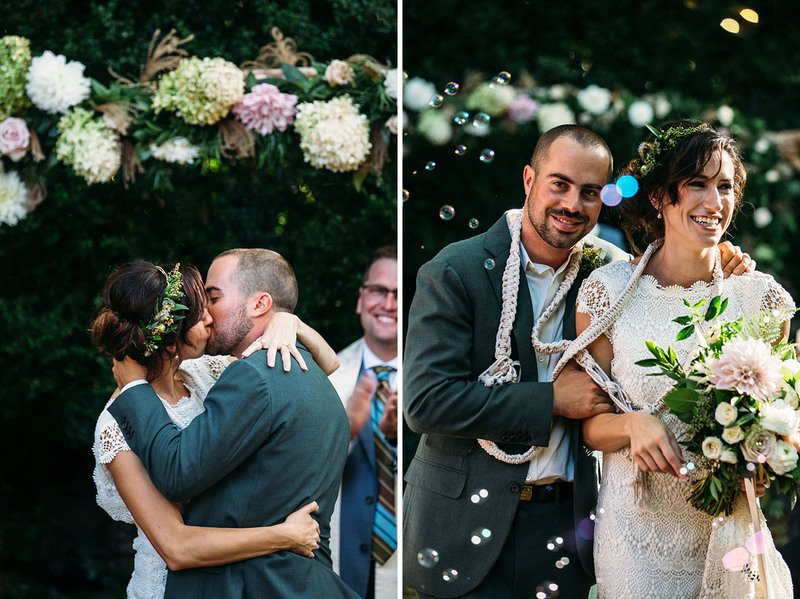 We walked back down the aisle through a tunnel of bubbles—because that’s what you do when you have a bubble-obsessed baby who you want to make sure has a little fun, too! Alex looked handsome in a suit by Sid Mashburn! 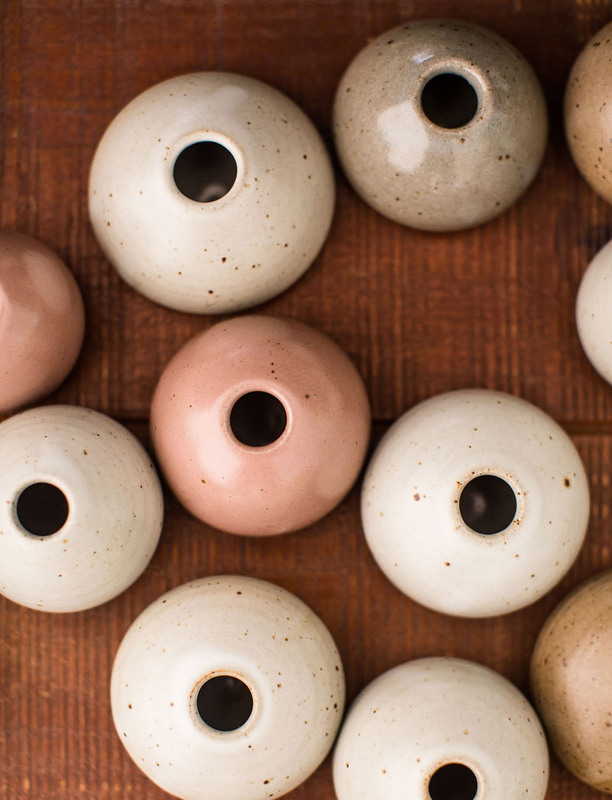 Ready for some pottery love?! 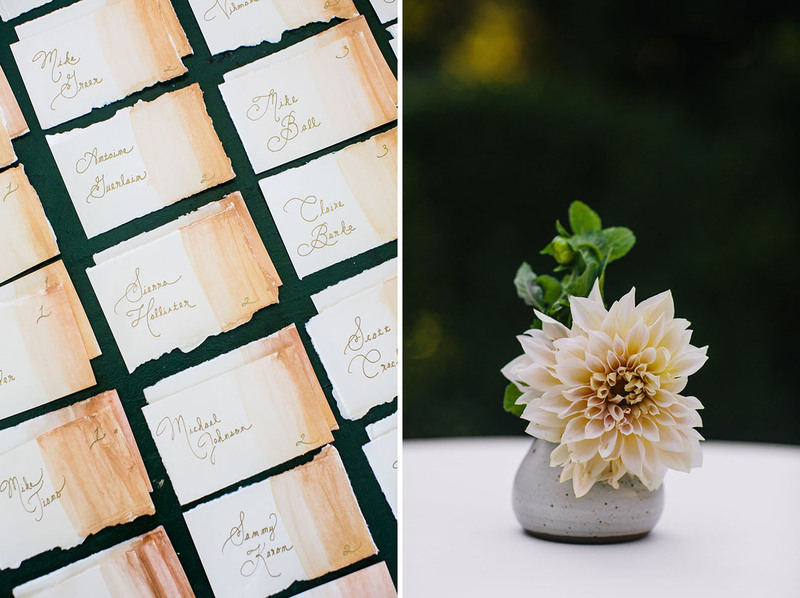 The pieces absolutely made the reception and Connie’s hand-dyed linens are the perfect compliment! We have an amazing group of friends with restaurants and they all brought something to the table. There were oysters (West coast + East coast for hers and his!) and a whole tuna loin being sliced for sashimi, house-made charcuterie, pickled shrimp and bread from All Souls Pizza and Farm + Sparrow Bakery; seasonal side dishes like a farro with roasted root vegetables from Cucina 24; a beautiful salad from Table; and bay + garlic roasted pork shoulder from the Bull + Beggar—the first dish Alex ever made for me! 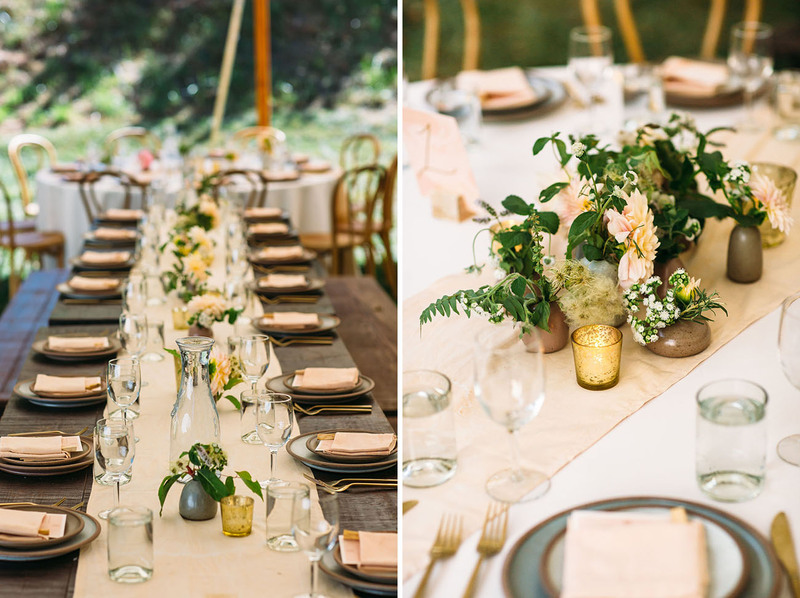 Just love the bud vase idea for as a guest favor! 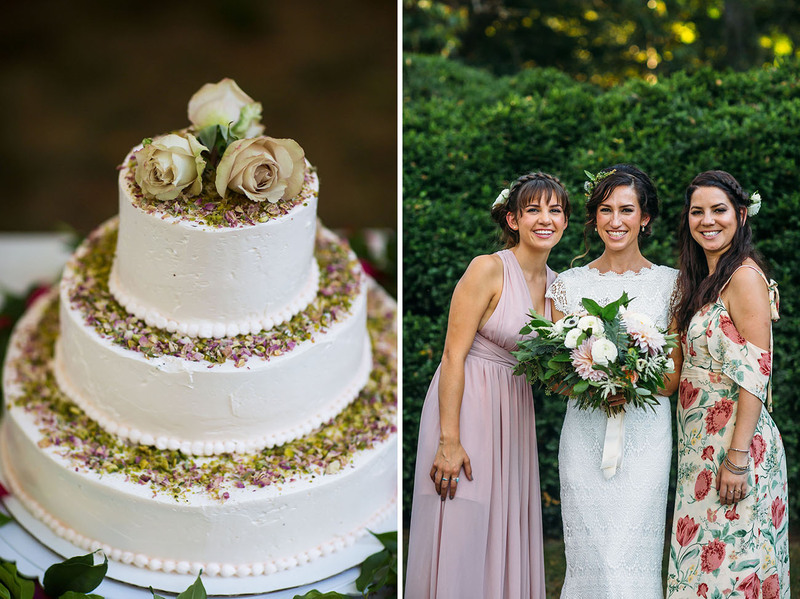 Our favorite bartender in town poured the drinks, and our pistachio cake with rose buttercream was made by friend and baker Aimee Mostwill of Sweetheart Bakery. People are still talking about the food. Alex’s father is an artist-inventor. Long ago he made a machine that shoots out tiny paper hearts. I had no idea of the machine’s existence. 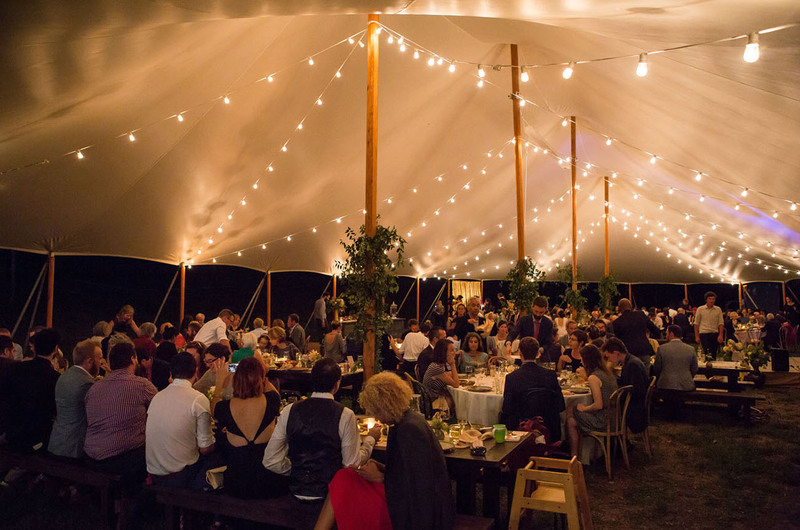 Alex convinced his dad to have the machine freighted down from Massachusetts, he installed it in the tent without me knowing, and just as our first dance song (Sturgil Simpson’s “In Bloom”) crescendoed, a flurry of white paper hearts showered down on us. I could hardly dance because I was too busy smiling and laughing like a goon. 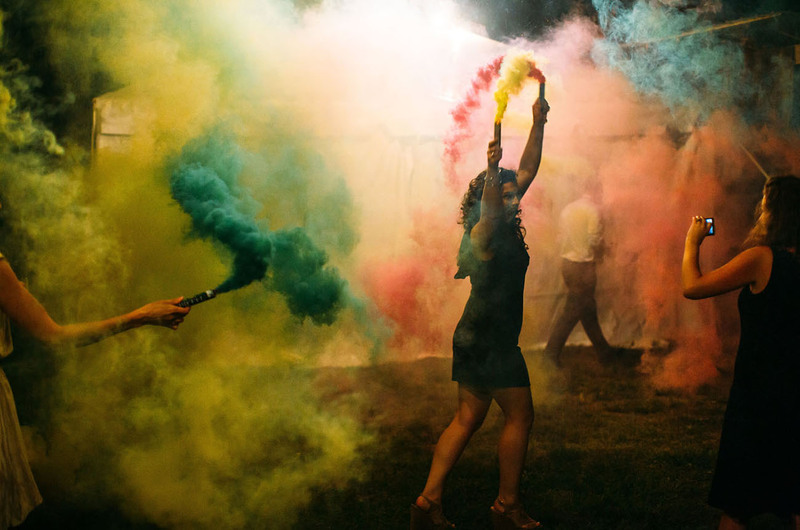 We danced all night and were sent off on a bus with friends with colorful smoke bombs and lots of fan fair—and it was really something else to sneak into bed with our sweet, sleeping baby girl when we got home. Such a beautiful day! Thanks to Connie for sharing the sweet details and little stories throughout. Many congrats to C+A from all of us at GWS! 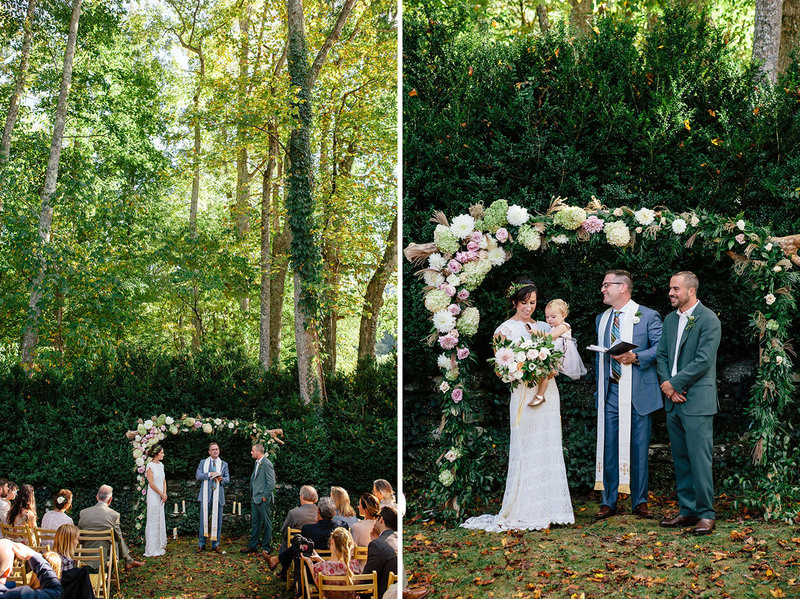 This wedding is insanely beautiful! I love the colored smoke and those ring shots! Tim did an awesome job photographing those details!